Primal Nutrition, Inc., 9781939563132, 256pp. If you want to get in great shape, have flawless skin, and radiate genuine happiness, you need to go beyond outrageous magazine headlines and truly understand the correct approach to eating, exercising, sleeping, and managing the hectic pace of modern life. Paleo Girl will help you transform your health—the right way—by adapting the lifestyle behaviors of our strong, smart, and healthy hunter-gatherer ancestors. Leslie Klenke is an author, designer, health enthusiast, and voiceover artist living in beautiful Los Angeles, California. Originally from Dayton, Ohio, she graduated from Bowling Green State University with a degree in Visual Communication Technology and a minor in Entrepreneurship. 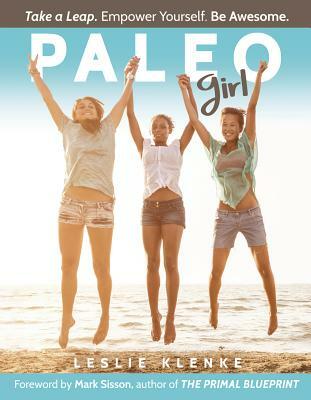 Leslie merges her love for art and health with her first book Paleo Girl, which she proudly wrote, photographed, and designed. She shares her passion for “good food and a healthy life” on her popular Instagram: @LeslieKlenke. Leslie is happily married to her best friend, AJ Wilson, and the proud owner of two goofy Boston Terriers, Olie and Harlow. For more information on Leslie and her various projects, visit leslieklenke.com.